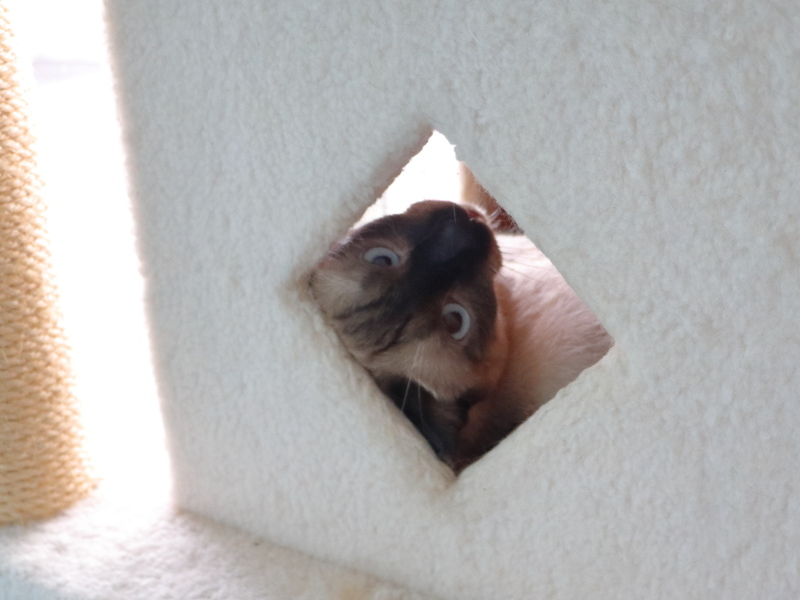 Our cat tree has a cubby with a small window. It is a place where a cat can go and get some privacy, as long as someone with a camera is not bothering them. 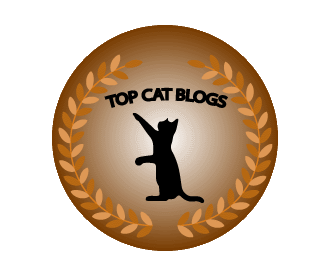 This entry was posted in Uncategorized and tagged Cats, cubby, cute, window on September 14, 2018 by Charles Huss. 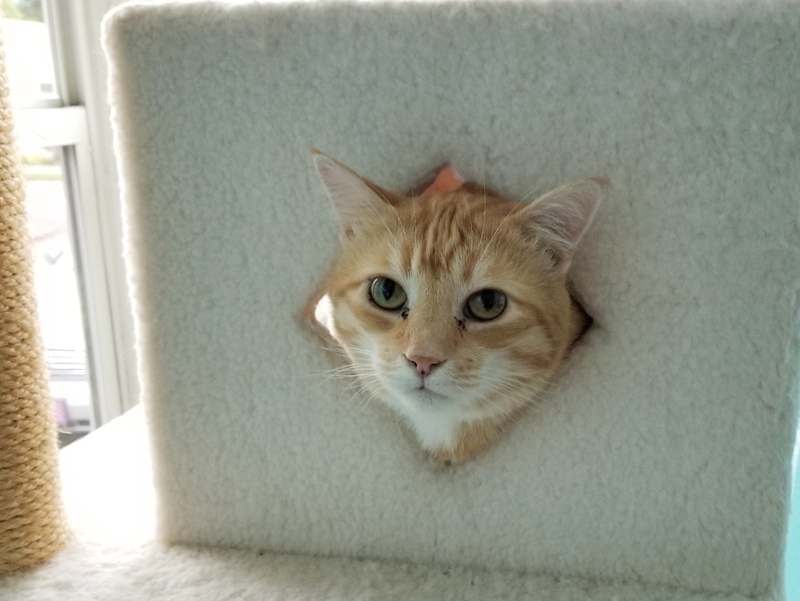 We have had this cat perch for almost a year and I have never seen anyone use the cubby hole on the bottom until a couple of weeks ago when Chris discovered it. 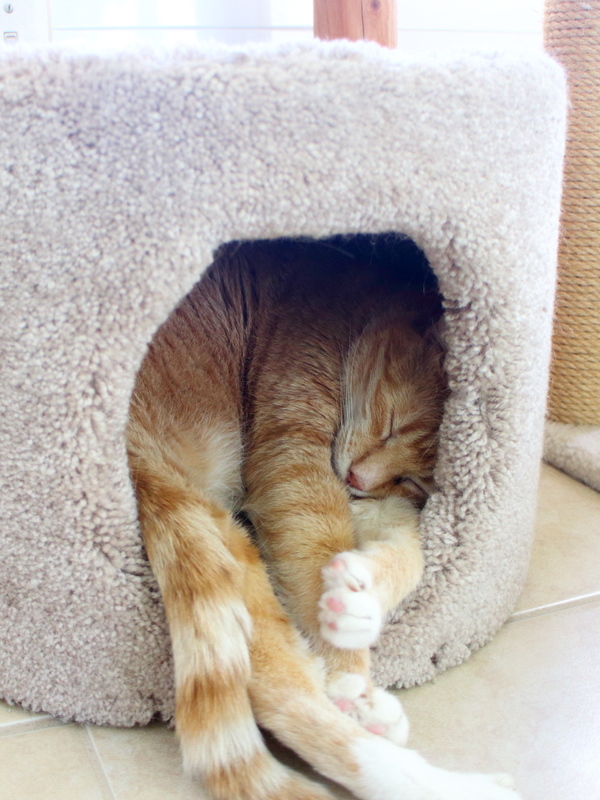 This entry was posted in Uncategorized and tagged cat, cubby, cute, nap, perch on July 1, 2016 by Charles Huss.